Visual guide to the recognition, description and interpretation of lesions of the digestive apparatus of pigs. Integrates macroscopic and microscopic findings associated with lesions that develop during the course of various pathological processes. 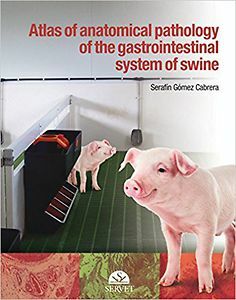 Brief descriptions of the main anatomopathological features of each image are provided, which is essential for proper understanding of the disease process, diagnosis and underlying causes.